Live chat: QR Code places a call to someone in your company that can answer a question. Promote your email newsletter with a quick signup on a smart phone. Invite people to watch a short video demo or testimonial on YouTube on their smartphone. Set up a Scavenger Hunt starting with a QR Code. Make sure you have a good prize at the end to get people engaged. 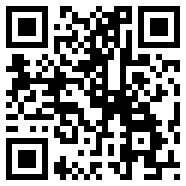 Give a discount or giveaway by scanning a QR Code. While QR Codes on t-shirts are not always easy to scan, if everyone in your booth wore a t-shirt with a QR Code, it would certainly attract attention! And think of how much fun it would be to have guests scan the codes. Make sure to have a flat version of the code in the booth in case someone’s phone doesn’t scan well. Link to your Twitter account and ask them to follow you. Set up a phone number in your QR Code. By scanning, a person’s smart phone will automatically make a call. You can also set up a QR Code to send a text (SMS) message. This might be a request to get on a text message marketing list to receive discount alerts via SMS, for instance. Need a hand creating a QR Code or have questions on how to make a QR Code, how to use a QR Code, how to scan a QR Code or any other questions on integrating technology into your next marketing campaign, trade show, or event – give us a call, we would love to help!